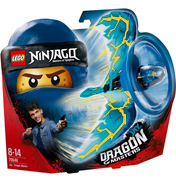 An exciting new platform that brings even more fun to the Lego range. 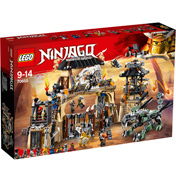 The human Ninjas are the good guys, who battle against the evil Lord Garmadon and the Skeleton Army. Ninjas use a special fighting style called ‘Spinjitzu’. 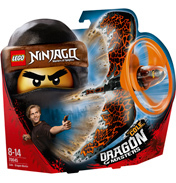 With their weapons grasped, fighters spin to try and damage and defeat their opponent. Kids can actually battle against their friends with this game as selected characters come with special spinners and trading cars. The first master of Spinjitzu created Ninjago using four weapons from the elements; the sword of fire, the scythe of earth, the shuriken of ice and the nunchuck of lightning. 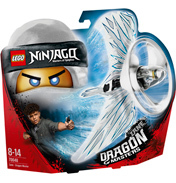 Once created he handed the world over to his sons Sensei Wu and Garmadon. 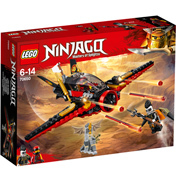 Unfortunately greed and the forces of evil absorbed Garmadon who wanted to claim the weapons for himself. His brother managed to defeat him in a huge battle, eliminating him to the underworld forever. After becoming ruler at his new home he joins forces with the Skeleton Army, and soon comes back for vengeance. 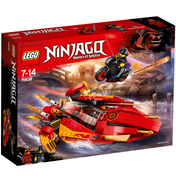 With a wide range of weapons and vehicles available the fight is sure to be huge. Watch out for Frakjaw escaping in his Turbo Shredder (2263), or Chopov trying to abscond with the Nunchucks of Lightning in his Skull Motorbike (2259).